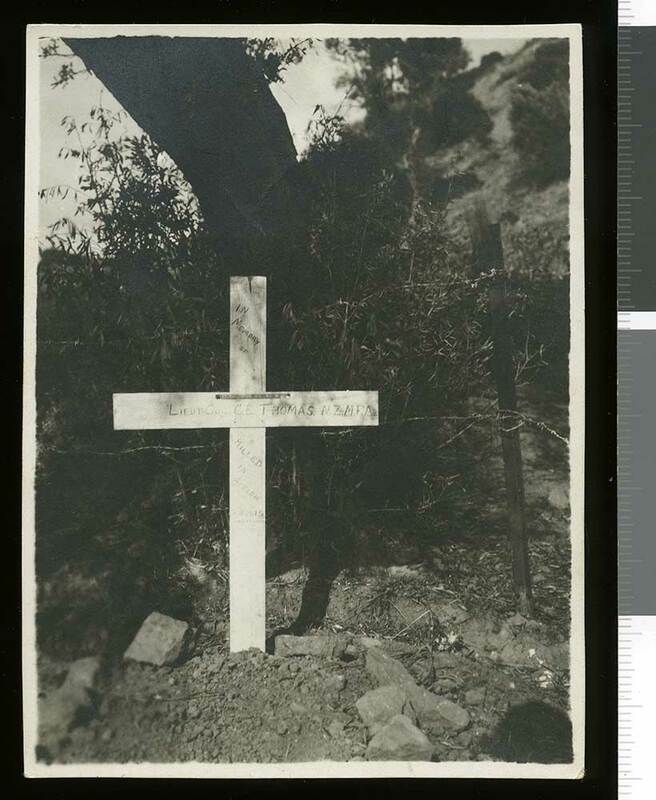 Son of H. Thomas, of Devon, England; husband of Mildred Julia Thomas(nee Rhodes, of Timaru, New Zealand. 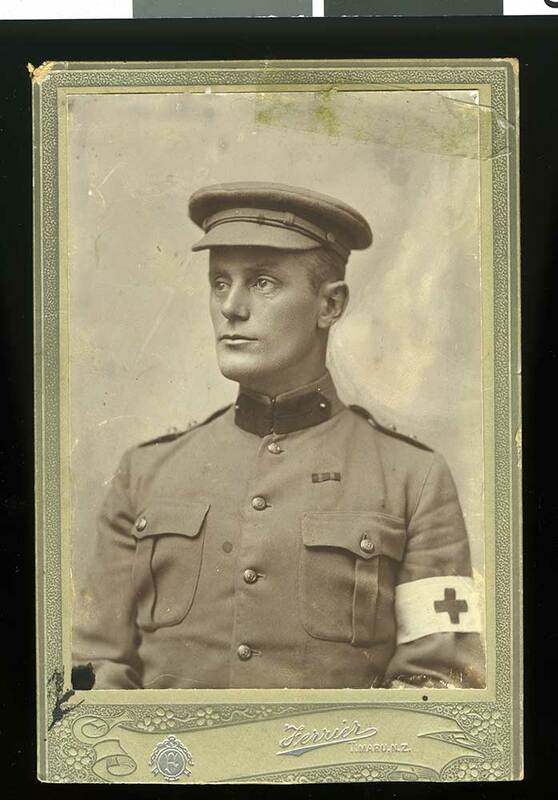 Lieutenant Colonel Charles Thomas, known locally as The Little Doctor, was a doctor at Timaru who left his wife Mildred and 11-year-old son to serve as the commander of the New Zealand Mounted Field Ambulance, NZ Medical Corps. Nearing 50, Thomas had previously served in the New Zealand Volunteer Fiorces and in the South African (Boer) War as a surgeon in the fifth contingent, so was perhaps more prepared than many for what might lie ahead. 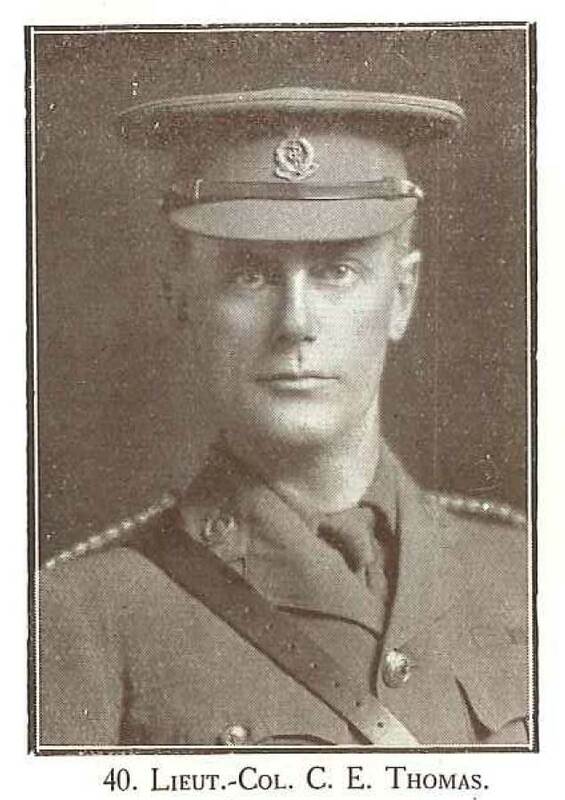 Thomas was however killed in a disastrous attack on Hill 60 in late August, 1915, at Gallipoli. Instead of remaining in the relative safety of a dressing station, he had gone with stretcher bearer parties to help the wounded men in the front trenches. While sheltering in a trench a shell exploded above him, killing him outright. So the life of a well-respected officer, father, and medical man was cut short. A collection of letters from Thomas to his wife and 11-year old son are part of a collection held by the South Canterbruy Museum, which offer considerable insight into his excperience. As werll as more banal comments about the food, he also wrote about the campaign. On 1 March her wrote "It seems to be an endless, hopeless mess we are in now." He commented on the difficulties of their situation "The safest place on land is in the fire tenches. Some are still killed and wounded before even they put a foot on shore ... There is a great deal of sickness on account of the damp dugouts and the flies, which are even worse than here on account of the unburied and partially buried." 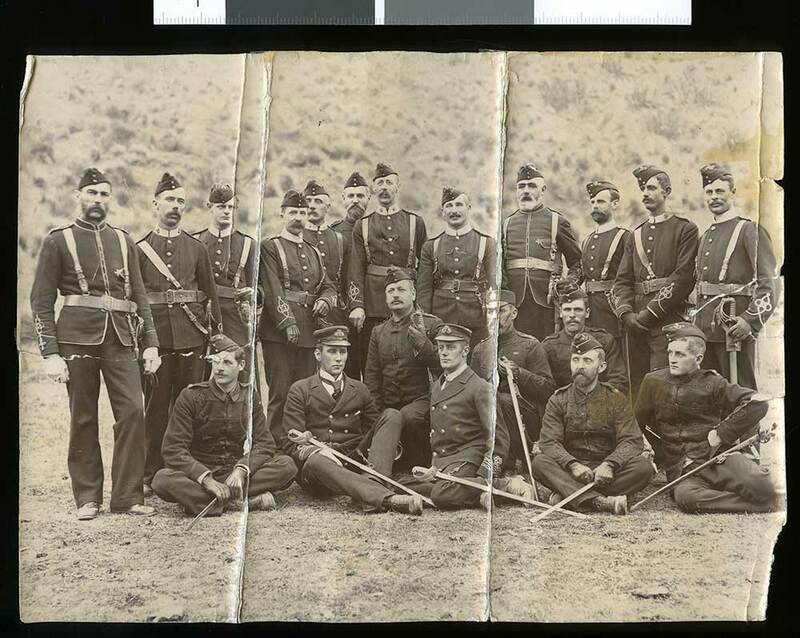 (24 July) and that he had "...30 men employed all day and every day digging graves for New Zealanders." 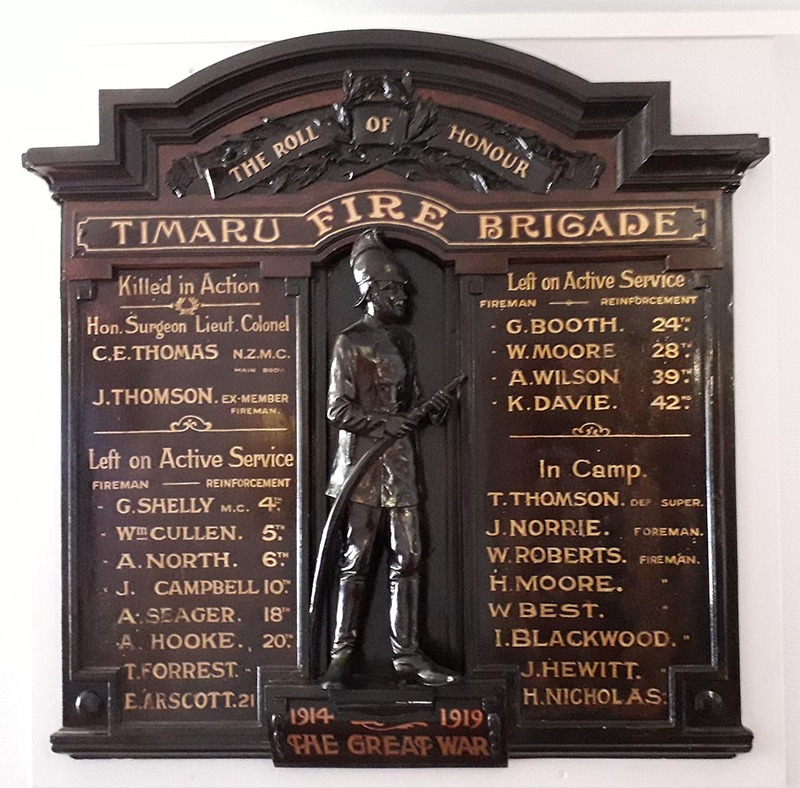 "The death of Lieut.-Col. Thomas will, no doubt, have come as a great shock to Timaru. I can assure you that it gave me a great shock. I was sitting talking to him in the trenches when he was killed. We were up in the New Zealand Mounted trenches while they were attacking three Turkish trenches, and the shells were falling thick and fast all around us, till at last one burst above us. Col. Thomas was killed outright, and died without speaking. I was badly hit, and rolled over towards him, while three or four stretcher-bearers were also more or less badly hit. I thought I was finished, and could do nothing for the Colonel, but after some time they managed to plug me and get me away. The trip back to the dressing station was almost as lively as in the trenches, as shells and stray bullets were dropping all round us. We had some narrow escapes, but managed to get back safety. Our little company was broken-hearted on hearing of the death of our dear Colonel. I could talk for months about him, but you know what he was, and what he has done for me, and for our company. I am proud to have been with him when he died. He was absolutely fearless, and would go anywhere in the face of danger."